We at Zoukis Prisoner Resources can confidently recommend the following attorneys as quality federal criminal defense attorneys. If you require representation for a federal criminal case or appeal, we strongly recommend that you select an attorney from the following list of competent practitioners. Brandon Sample, the founder and Executive Director of Prisology.org, is a Vermont Law School graduate who served 10 years in the Federal Bureau of Prisons before becoming an attorney. While in prison Brandon not only earned his bachelor’s degree from Adams State University, but made quite a name for himself as a skilled jailhouse litigator, winning countless criminal appeals for fellow prisoners and several lawsuits against the Bureau of Prisons over conditions of confinement and other matters. Brandon, along with Alissa Hull, is the co-author of the second edition of The Habeas Citebook: Ineffective Assistance of Counsel (Prison Legal News Publishing, 2016), a contributing writer to Prison Legal News, and a member of Gordon Defense. Todd Bussert, a member of Frost Bussert LLC in New Haven, Connecticut, has worked in the federal sentencing and post-conviction arenas for more than 19 years. In addition to trial level defense of federal criminal matters, Todd’s scope of representation includes direct criminal appeals, motions brought pursuant to 28 U.S.C. § 2255 and 28 U.S.C. § 2241, and issues involving the Federal Bureau of Prisons, such as placement, programming, and administrative remedy appeals. 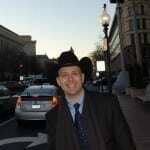 Todd also consults with other attorneys and their clients concerning federal sentencing and prison matters. If you would like additional attorney recommendations, or attorneys who specialize in particular areas of law or state criminal defense attorneys, then you should consider reviewing the Super Lawyer Directory or the Martindale-Hubbel Directory. Both directories rank attorneys and offer awards to top performers.